Jacob Mwale is an agribusiness leader and currently heads the Zambian Commodity Exchange (ZAMACE Limited). He has more than 20 years practical experience and expertise in high level work with local and international organizations on practical coordination and implementation activities at the macro and micro-level in addressing challenges in business. Accordingly, given these central roles he has held in the Zambia Agribusiness and agricultural associations in Zambia for many years, Jacob has been involved in most of the major agricultural policy formulations in Zambia and beyond. He is the founder member of the Southern African Grains Network (SAGNET) and currently Chairs the Network. 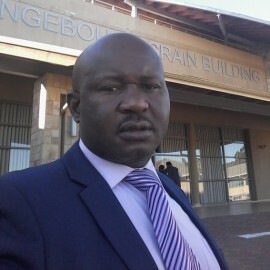 As an Executive Director of the first ever Zambian Commodity Exchange, (ZAMACE Limited), Jacob has managed to engage policy makers, national and international organizations on ensuring an enabling business and economic environment with the aim of building a strong and inclusive agricultural market for both smallholder farmers and agribusinesses.